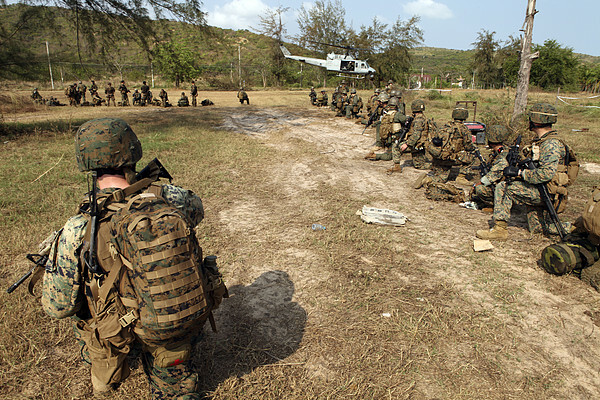 There are no comments for U.s. Marines Provide Security. Click here to post the first comment. February 16, 2011, U.S. Marines provide security as a U.S. Marine Corps UH-1N Huey helicopter takes off during a mock raid conducted with Royal Thai Marines in Hat Yao, Kingdom of Thailand, in support of Exercise Cobra Gold 2011. 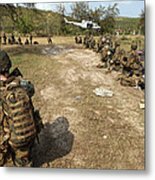 For three decades, Thailand has hosted Cobra Gold, one of the largest land-based, joint, combined military training exercises in the world. A successful Cobra Gold 2011 results in increased operational readiness of U.S. and Thai forces and matured military to military relations between the two countries.